Author’s note: Don’t put anything in a crib. Pillows will smother, blankets will cause blindness, and stuffed animals will slowly peck away at a baby’s brain. If you must use a sheet, make sure it is securely stapled to the mattress and inspected for fire ants. Once your crib is all set up and ready for baby’s arrival, throw the whole thing out the window and start again – but this time, make it SAFE for Christ’s sake! Valerie is what I like to call a crib cuddler. She can’t fall asleep until her noggin is pressed into a corner of the crib and a limb is fully extended through the bars. It’s what works for her. For months, my husband and I saw no reason to intervene since a) there was nothing we could do to stop it and b) neither an arm nor a leg was worth the hassle of waking her up. One evening, I woke up to baby wails. The scene looked suspicious on the video monitor so I went into the nursery to assess the situation. 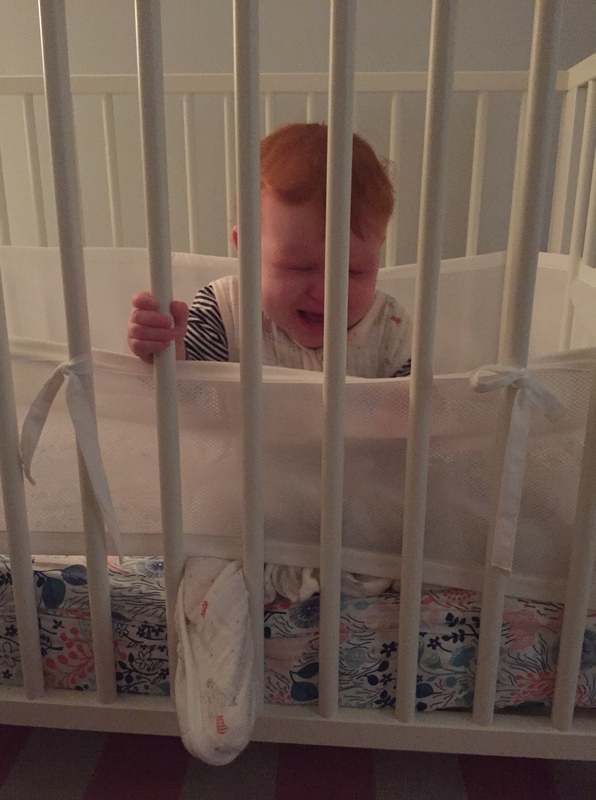 There she was, naked except for her diaper, with one marshmallowy baby thigh wedged between the crib bars. Apparently, in the throes of 6-month-old nighttime acrobatics, Valerie had unzipped her Zippadee Zip sleep suit, sat up, and haphazardly jammed her leg wherever she pleased. It was a very mid-2000s celebutante move, and I was proud. 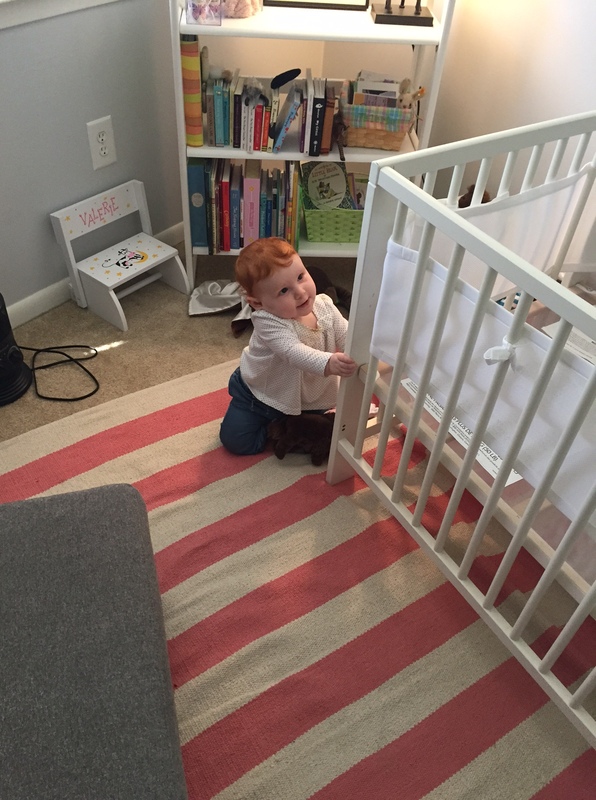 We never considered crib bumpers before because of the pressure to keep cribs clutter-free. Also, sleeping swaddled newborns are basically potatoes with hats: They don’t move at all and don’t have any limbs. However, in the hopes of avoiding another sleep interruption, we ordered the BreathableBaby Breathable Mesh Crib Liner with Sure-Breathe Technology. I only had one concern before purchasing: Is it breathable? I was quickly reassured by the Sure-Breathe (aka “Sure, Breathe!”) graphic. You can clearly see that ice cold baby air flows effortlessly through the liner, activating delicious breathable cotton candy vapors. Additionally, the liner has the absorbency of an Always pad with wings, so you know you can trust it. The Amazon box arrived arrived a few days later with the liner and an unexpected addition: A tiny little Ginger Person to help with the complicated installation. How handy! Afterwards, we baked and ate her for dessert! Glad to see the baby mattress did make a difference, I often wonder what percentage of infants really notice a difference. I agree, they do get stronger and smarter every day! The crib liner can only work so long.